The first Season of Champions event is in full swing in Estevan, Saskatchewan this week. We’re participating in the Home Hardware Canada Cup of Curling at Affinity Place. Our next game is Saturday, December 10th at 8 p.m. ET (7 p.m. CT) against Team Jones. We qualified for the semifinals with a 5-2 record in the event capturing wins over Teams Flaxey, Carey, Robertson, Walker and Einarson and losses to Teams Scheidegger and Jones. Full coverage of the Canada Cup will be on TSN throughout the weekend and through the weekend playoffs in Estevan. The format for this event is a single round robin for the eight women’s teams. The top three teams will advance to the playoffs with the first place team getting a bye directly into Sunday’s final. The second and third place team will meet in a Saturday semifinal. If needed teams that are tied for third place will playoff in a tiebreaker game on Saturday. This event takes a pause during Olympic seasons so this is the first Canada Cup since our runner up finish in 2016. In 2015 we captured the Canada Cup after a 2014 runner up finish. For all of the scores, standings and updated draw information you can click here. We’ve been busy with training and giving back since our last event and win at the Grand Slam of Curling. A big thank you goes out to all of our fans who supported our efforts to help the Sandra Schmirler Foundation on Giving Tuesday. Thanks to your generosity we were able to donate over $1,600 to help babies born in crisis with our auction winners receiving one of our Canada Cup signed jerseys. Thank you! Have you had a chance to catch the latest video from our friends at Egg Farmers of Ontario? When we’re on the road, especially for back-to-back events like we’re enjoying these two weeks, we rely on healthy starts to our day and eggs help fuel Team Homan at home and on the road. 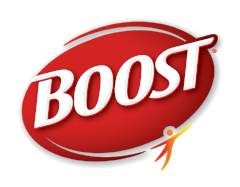 The BOOST National begins Tuesday in Newfoundland and Labrador. We’re so excited to get back to the Rock! We’ve heard that the event is nearly sold out. Full details for the next Grand Slam of Curling stop can be found here. Emma and Lisa helped one junior curler get a great feel for what a day in the life of an athlete is like on Take Our Kids to Work Day last month.